Posted on October 17, 2015 by Megan V.
Cinderella got her stroke of luck by meeting her fairy godmother and loosing her glass slipper. Mulan got her stroke of luck by (in the movie) taking the place of her father. Monozami Nanami got her stroke of luck by getting homeless and chasing a dog away from a god. After a little while, she doesn’t seem to think she’s lucky. Although she did get a house after her home was confiscated because her good for nothing father didn’t pay the bills, she did get the new place from a creepy man who’s scared of dogs and hasn’t been home for twenty years. Worse yet, he made her the new land god by kissing her forehead, and with that job comes a whole lot of responsibility, chores, and a handsome kitsune (fox yokai) familiar, Tomoe. Tomoe hates Nanami’s guts because she’s human and not spiritually strong enough to do a proper talisman. Add a tengu teenage idol, a swamp koi yokai who’s in love with a human, and an evil yokai running around, and this wacky manga adventure will keep you laughing. This manga has over 130 chapters, and continuing. Although it is a comedy, it is steeped in Japanese yokai folklore, weaving kitsune, kappa, and tanuki into the plot. There is also some famous Japanese gods, such as the god of Yomi, Azanami. 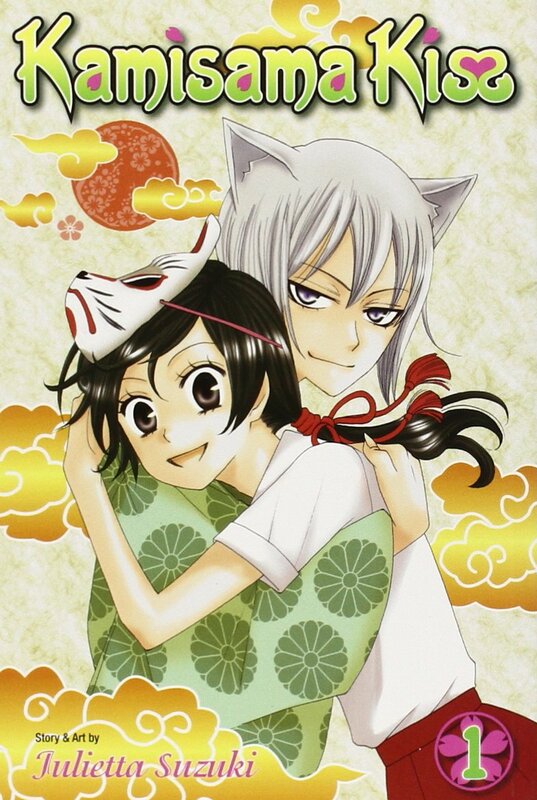 Additionally, this is a heartfelt romance, with relationships such as Nanami falling for Tomoe and others. Most importantly, this is a manga where the plot will keep you wondering what would happen next. This is a must read if one wants a girly manga with romance, adventure, and comedy. This entry was posted in Book Reviews and tagged gods, japanese folklore, manga by Megan V.. Bookmark the permalink.